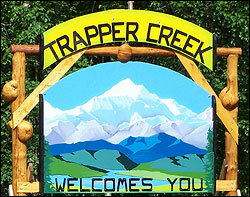 Trapper Creek Community Council (TCCC) is seeking candidates to fill five board positions. Two of these five positions are two-year terms and will be filled by the candidates with the most votes. Board positions to take seat at the January 19, 2017 regular council meeting. Applications available at Trapper Creek Post Office, Library, or via email. 1. Applications received by on duty clerk at the library. If library is closed, please leave in outside drop box. 2. Applications may be mailed to TCCC, PO Box 13021, Trapper Creek, AK 99683, and must be post marked no later than December 15, 2016. 3. Bring to the Council meeting December 15, 6:30 pm, at the Community Center. List of candidates will be posted at the Post Office and the Library on December 21, 2016. Voting is Wednesday, December 28, 2016 through Saturday, January 14, 2016, during regular Trapper Creek Library hours. When voting poll closes, vote tallying committee will collect, count and certify election results. This entry was posted in Uncategorized on December 2, 2016 by Chris Boone. This entry was posted in Meeting Agendas on December 2, 2016 by Chris Boone. I. Meeting called to order 6:33 pm. II. Board Members in Attendance: Glenka, Kolbeck and Grelson; Member present: Lon McCullough. III. Reading and approval of minutes from September 15, 2016 and October 20, 2016. V. TCCSA CIP Report: CIP#4: $1,362.13 left from the original fifty percent draw of $10,000. Received the remaining $10,000 on 10/20/16. Total remaining $11,362.13. Total spent to date: $8,664.48. 2. Upper Susitna Food Pantry – $0 remaining. Christmas Baskets will be distributed on regular pantry days in December. A few new workers in TC Pantry. X. Public Forum: Alaska LNG Project Update by Mark Jennings & Josselyn O’Connor from Alaska LNG, and Rosetta Alcantra from Alaska Gasline Development Corp. Copies of Resource reports left with Council. 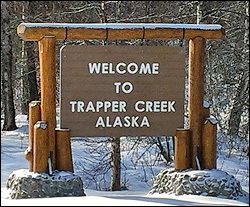 Input from TC Community was helpful in relocating location of pipeline to the East side of the Highway/Chulitna River until a couple of miles North of Trapper Creek. They were able to avoid trail access/pullouts based on Community input as well. Now collecting comments for FERC- 2nd draft. Pipeline is transitioning to a State led program. A. Discussion and reading of the Mat Su Borough letter regarding Community Council Boundary review of the current TCCC boundaries. No response needed unless changes are being proposed. Borough letter was posted and sent by email, and no input has been received by TC Community to date. B. Accepting applications for new TCCC Board Members in January 2017. Applications will be accepted up to, and including, December 15, 2016 TCCC meeting. Voting will be December 28, 2016-January14, 2017 at the TC Library. XIII. Date of next meeting scheduled for December 15, 2016. This entry was posted in Meeting Minutes on December 2, 2016 by Chris Boone.